Tom Glavine is a 10 Time ALL – Star, won 20 Games in 5 different years ( in all those campaigns led the NL), and finished in the top 3 for Cy Young Voting in 6 separate years, winning the award 1991 and 1998 years. Glavine held a career record of 305 – 203 (.600) – with a 3.54 ERA. He was part of a Braves club that won 14 straight Division Titles from 1991 – 2005, (leaving in 2002) and part of 5 World Series Appearances – winning it all with the club in 1996. Tom Glavine has 305 wins, 2607 strikeouts with 9 all-star appearances to go along with 2 Cy Young’s, and a World Series (which he was an MVP). Fellow long time Atlanta Brave Maddux has 355 wins, 3371 strikeouts, a Cy Young, as well as multiple gold glove wins. The Big Hurt Frank Thomas, was a lifetime .301 hitter with 521 homeruns, and 1704 RBI’s go along with multiple top player awards. All in all, great players, but what the players passed over in years passed. Here are my top 5 players who I think DESERVES to be in the hall of fame. 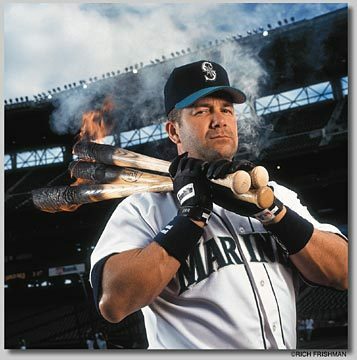 Edgar Martinez might just be the best DH of ALL-Time, It would be a good case of Ortiz vs him. Martinez was a 7 Time ALL-Star 5 Time Silver Slugger Award Winner and had a 3 Slash line of .312/.418/.933. Will he be the 1st ever Primary DH to be inducted into the Hall? This long time designated hitter should have been a first ballot hall of famer in my mind. Over 18 years, he hit a lifetime .312, 309 homeruns, with over 2000 hits and 1000 RBI’s. Not too shabby for the 7 time all-star. Yes he spent the bulk of his career as a DH (he actually started at 3B), however his performance at the plate alone should be enough to get him in, regardless of the position played. He was simply one of the best hitters the game has ever seen. 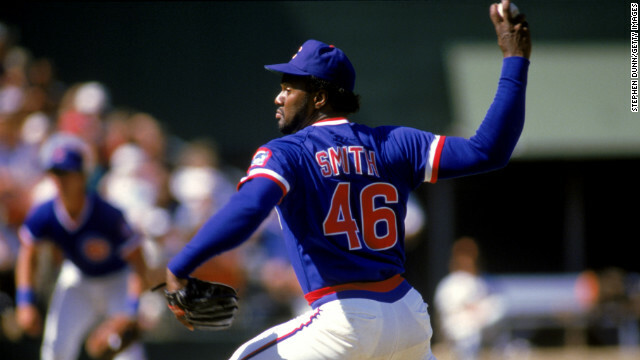 Lee Smith was a 7 Time ALL – Star. led the league in Saves 4 times- and finished in the top 10 for Cy Young Voting. At the time he retired, Smith was the ALL – Time Saves leader. Smith had 10 – 30+ Saves seasons – including 3 years over 40 in a row. The fact that this shut down performer is not in the hall, is simply criminal. This seven time all-star won the relief picture of the year 3 times. He pitched in 1022 games with 1251 strikeouts for multiple teams in both the National League and American League. His 478 saves was a record for 14 seasons before being topped by Padre great Trevor Hoffman. 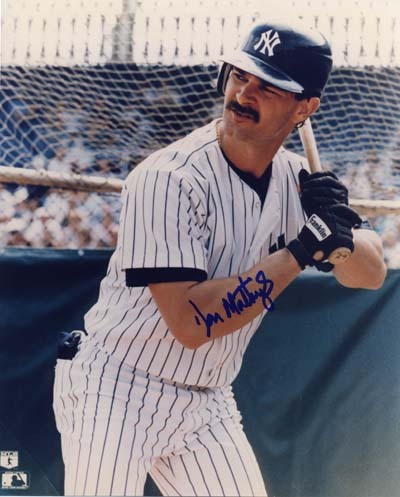 Don Mattingly won 3 straight AL Sporting News Player of The Years – and was the best ALL-Around player in the game from 1984-1986 leading 13 Offensive Categories for the 3 years. His 145 RBI in 1985 was the most for a LHB since Stan Musial in 1949. He hit .340 with 656 Hits, 145 2B, 88 HRs, 368 RBI and only SO 112 times in 2131 PA’s. He also led the league in Doubles from 1984-1986. Mattingly’s 388 Total bases in 1986 had been the most in the Majors since Willie Mays back in the 1962 season. This Yankee great was a fixture at 1B for Bronx Bombers for 14 years. The 9 time gold glover hit a lifetime .307 average with 222 home runs and 1099 RBI’s. His number 23 was retired by New York with a plaque in the famed Monument Park at Yankee Stadium. Did I mention he was the 1985 AL MVP? The Dodgers gain is the Yankee’s loss. Sorry Joe. 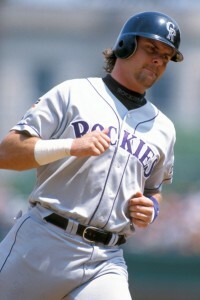 No other Rockies player took advantage of the Pre-Humidor Days more than Larry Walker, who was a .381 career hitter at Coors Field compared with a .282 average for the rest of the MLB Parks combined. The BBWAA writers will likely hold this against him. In my mind, the greatest Canadian to ever put on the spikes. A career that has stretched over 16 seasons with the Montreal Expos, Colorado Rockies, and St. Louis Cardinals. Walker hit a lifetime .313 with 1311 RBI’s. He had 5 all-star appearances, and is the 1997 NL MVP. Walker also won 3 batting titles, a home run championship to go along with his 7 gold gloves, and 3 silver slugger awards. How he is not in the HoF, is a mystery. “Shoeless Joe” was simply one of the greatest hitters of all time. From 1908 to 1920, he had a lifetime average of .356 including .408 as a rookie. Yes they were different times, but you can’t argue with those numbers. He only played 12 seasons, however with 1772 hits, its hard to completely rule him out. Especially considering there was no clear proof that he took part in the 1919 Black Sox scandal. I personally think it’s ridiculous. How could a man who had 12 hits (a World Series record) for a .375 average “throw” the series. It’s completely absurd. It’s crazy to think, he is still banned from the hall. Now, there are a million websites you can go to with different stories to what actually happened. Regardless of the stories written from all these “experts”, how do you argue the numbers? There you have it. My opinion on who should be in the Hall of Fame. However, it is just that, an opinion. There are plenty of other players out there that deserve to be considered as well. Jack Morris, Tim Raines, Gil Hodges, and Ted Simmons. For argument sake, how about Pete Rose? On the flip side of things, I also think that any PED user should be completely removed from the ballot. This includes Barry Bonds, Roger Clemens, and Mark McGwire. The fact that these guys are on the ballot and Joe Jackson is still banned completely turns my stomach. That’s my rant for this week. As always, if there is something you agree with, or completely disagree with. You can reach me at 365southpaw@gmail.com, or on twitter (@cheeseman_s). I challenge you to voice your opinion. Cheers to all. 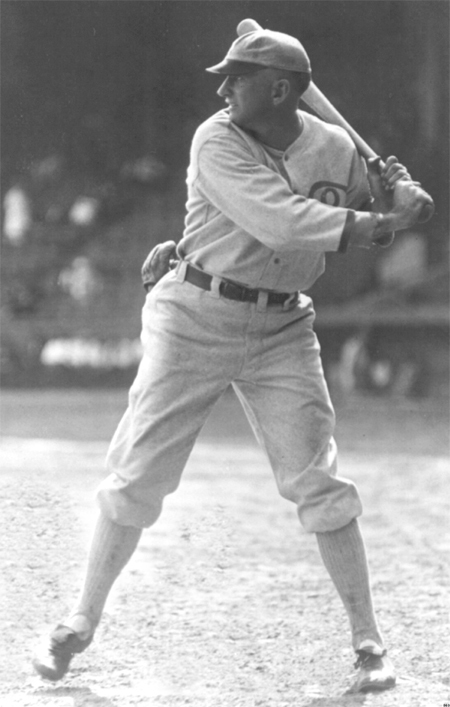 ‘Shoeless” Joe Jackson is 3rd ALL – Time in Career Batting Average with a mark of .356. In 5 different seasons, he carried an OPS north of 1.000 – and he has a lifetime mark of .940. From 1910 – 1920, Jackson hit over.300 – with his career best coming in 1911 at .408. At the time of his banishment from the game forever, with 7 other Black Sox players, he was only 32 years old. Their have been many movies and stories written about Jackson’s involvement in the 1919 throwing of the World Series versus the Cincinnati Reds. Picture Captions courtesy of the MLB Reports. A big thank-you goes out to our ‘Special Guest Writer’ Steve Cheeseman for preparing today’s featured article. Steve was born and raised in Marystown, Newfoundland – and has been an avid sports enthusiast my entire life. He loves hockey, baseball, and soccer, and continue to play in local leagues where I live. However baseball will always be Steve’s favorite sport . He moved to Ontario, Canada in 2001, and currently lives in the nation’s capital of Ottawa with his wife and daughter. Steve currently writes, blogs, and freelance sfor several sporting sites. Contact him at any time (365southpaw@gmail.com). You can also follow him on twitter Follow @cheeseman_s or google circles (+Steve Cheeseman). Posted on November 30, 2013, in On the Verge: MLB Prospects and tagged @cheeseman_s on twitter, @MLBreports on twitter, baseball hall of fame, BBWAA, don mattingly, edgar martinez, frank thomas, Gil Hodges, Greg Maddux, jack morris, joe jackson, lee smith, pete rose, roger clemens, steve cheeseman, ted simmons, tim raines, tom glavine, trevor hoffman, yankee stadium. Bookmark the permalink. Leave a comment.